Every woman dreads the terrible diagnosis of breast cancer, the leading cancer in women worldwide. Wanting to catch abnormal signs early, many women heed their doctors’ recommendations and get yearly mammograms. Depending on which doctor they see, however, patients may find differing opinions about when breast cancer screenings should start. While doctors understand how beneficial mammograms are in detecting early breast cancer, many debate the efficacy of the tests for women in their forties. A recent report published in JAMA Internal Medicine revealed these varying opinions. To analyze the debate, the Breast Cancer Social Networks national survey requested data from over 800 doctors. The survey received an unusually high number of responses. Of the doctors who responded, 81 percent recommended mammograms during ages 40—44, 88 percent during ages 45—49, and 67 percent after age 75. Clearly, doctors support breast cancer screening, but not all recommend them as early as 40. Because mammograms do catch problems early, one would think that all doctors would agree on early screenings. Why do they debate the subject then? Some studies suggest problems with screening for breast cancer at a young age. One problem that may happen more often with these early screenings is over-diagnosis. Any abnormalities may prompt doctors to order tests, including biopsies, only to find that the cells were normal. In the meantime, the tests will cause unnecessary anxiety and stress while costing patients money. In other cases, doctors will find cancer. However, the type of cancer found would have actually never turned into a problem for the patients. Because the tests did find cancer, patients may then undergo surgeries and therapy to eliminate the risk. At the same time, professionals reason that these early tests do not improve survival rates. For example, one Canadian study showed a 22 percent over-diagnosis of cancer and little improved survival rates due to early breast cancer screenings. Citing studies such as these, some doctors just don’t see the benefit of scaring patients and treating harmless abnormalities. 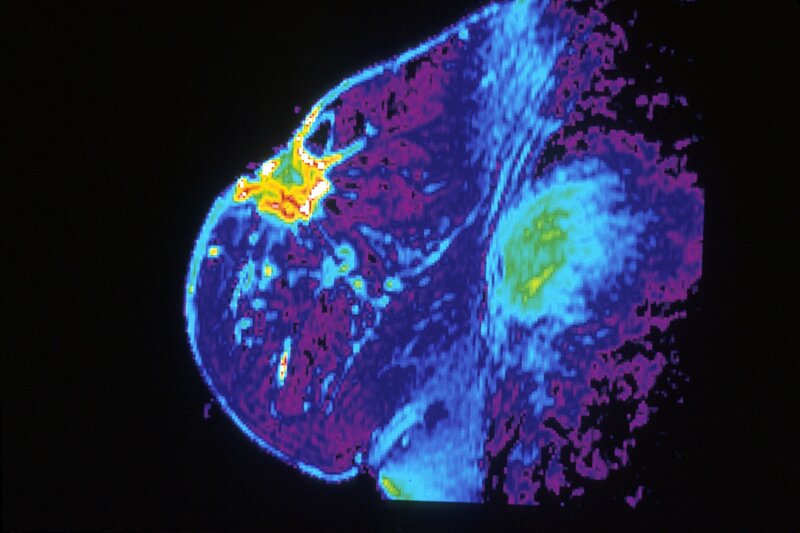 Some women choose to forgo early breast cancer screenings because of the repeated exposure to radiation. While causing breast cancer from multiple x-rays does not happen often, many do have concerns about this risk. Before patients decide to start screening regularly, they should talk over the risks and benefits with their doctors. On the other end of the debate, the majority of doctors still encourage early mammograms. Every 1 out of 8 women born today will get breast cancer at some time in her life. While over-diagnosis due to early breast cancer screenings may inconvenience some women, these doctors understand the real goal—saving lives. In this goal, studies do give varying results about mammograms reducing cancer deaths overall. Still, even the most modest numbers show that screening reduced death rates by at least 23 percent. In some studies, the rates were reduced by over 60 percent. Simply put, receiving regular mammograms will save lives, even during patients’ early forties. The tests can detect breast cancer as early as stage one. Such an early diagnosis will greatly improve the patients’ chances of survival, helping doctors to act more quickly at the beginning. In reality, many women will choose to forgo early screening even if their doctors do recommend it. They do not need encouragement to skip testing. Because studies don’t show a decrease in survival rates due to early mammograms, doctors should recommend early breast cancer screenings. They should talk over the benefits and risks with their patients and then let the patients decide for themselves. While new reports show differing opinions on early breast cancer screening, many doctors do recommend it as early as age 40. These doctors understand the danger of putting off mammograms until later years. Some women will be inconvenienced by the testing, but one screening could mean the difference between life and death for someone else. In the end, saving these lives matters most of all.